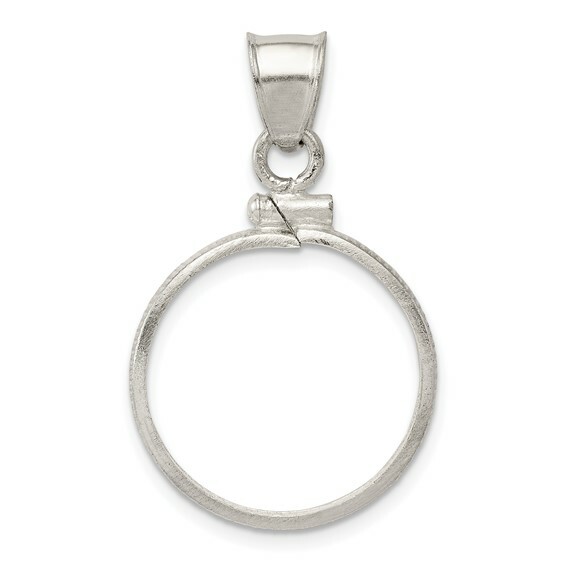 Penny coin bezel pendant is made of polished sterling silver. Dimensions: 19.1 x 1.5mm. Weight: 1 gram. This bezel fits a penny coin. Screw top. Am very pleased with the purchase, and would purchase from this company again.